There is always a better, greener, more natural or lower-impact option. How do you navigate the crazy commercial market and make environmentally-friendly purchases for your company when you have so many action tasks piling up on your desk? Here are a few tips for green procurement. We at Alsco are here to help. 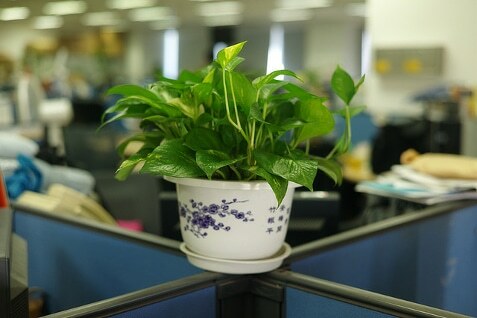 Not only do we offer tips on how to purchase, Alsco services are designed for a greener office. Find out more through the Greenroom blog. Not everything will be 100% green. Look for products that are at least taking a step in the right direction. Skim for clues such as organic or recycled materials. Buy premium goods that will last longer. Look into the practices of your suppliers and favour Australian suppliers who have an environmentally friendly attitude and who value corporate responsibility. When remodeling, consider the materials used. Choose renewable resources such as bamboo or cork flooring. When the roof needs to be replaced consider adding solar panels or a garden roof. Garden roofs reduce heating and cooling costs in addition to making use of rainwater. Landscaping is a great place to start with green procurement practices. Buy organic fertilisers and natural methods of pest control. Opt for gently used office furniture. Just try to imagine how long it would take for all the chairs in your reception area to deteriorate. The Evolution Mat is made with recycled PET, a material used to make plastic bottles and packaging. Replace worn out floor mats with a mat that makes a difference. Invest in premium insulation, which will keep energy costs way down. Information technology constantly burns energy. Choose copiers, computers, and the like which have the option to go to sleep after a period of inactivity. Time for a new A/C? Buy a smart system with a programmable thermostat. You can program temperatures for nights and weekends when the building doesn’t need to be quite so cool. Rechargeable batteries and refillable pens are a great step in the green direction. Buy copy paper and envelopes that are made with recycled fibers. Eco-friendly versions of correction fluid, glue and printer toner are increasingly easy to find and have multiple advantages over their toxic traditional counterparts. Inspect products for Energy Star and Appliance Star ratings. Looking for Alsco Evolution Mats? These are designed for safety and help you reduce your carbon footprint. They are made from recycled materials. Choose these mats today and create a better planet for tomorrow.